For anyone who’s let BJJ into their life, one of their things to do on their bucket list is travel to the Mecca of BJJ, Brazil. Often people will take a two week training holiday with connection Rio or one of the other fight holiday firms that a cropping up all the place. However, a lucky few get sponsored and have the opportunity to train in Brazil for months at a time, and that’s what’s happening to my team mate Sam Crook. Sam trains at Fightworx Torquay under my black belt Darren Yeoman, and he’s been a given the opportunity that many BJJ practicioners would grasp with both hands. A chance to train in Brazil for 5 months! 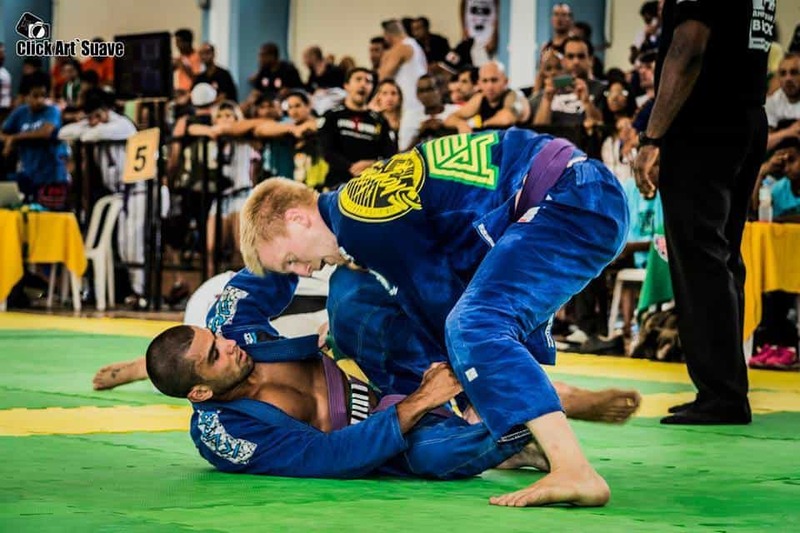 The purple belt British Champion has been training at the world famous Rico Vieria’s full time (twice a day at a minimum), and entering as many competitions as his body can handle. Let’s just say that my Facebook feed is full of Sam’s podium pictures, that’s how much success he’s been having (A lot!). 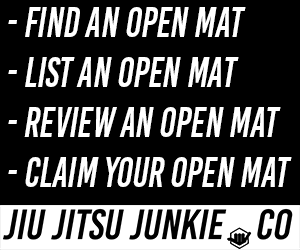 Tell us about your life before starting Jiu-Jitsu. Before starting jiu-jitsu I never did any sports at all – when I was younger I used to draw a lot and in my teenage years I played guitar in a death metal band, and partied way too much! When I was 21 I knew I needed to change my lifestyle, and I found jiu-jitsu. What was the first thing you thought after your first lesson? I was amazed by the technicality of it. I have always been a bit of a perfectionist and pay a lot of attention to detail, and the way that tiny adjustments to techniques could make such a huge difference really got me hooked. The guy that taught me my first lesson was really un-athletic, but really good, so that was also amazing to me. You’re currently out in Brazil training full time for 9 months, when did you decided that that was the right thing for your jiu jitsu life? For the first few years of my jiu-jitsu life it was just a hobby for me – I only started competing about 2 years ago, in June 2012. But it wasn’t until the Europeans this year when I lost my first match after such hard preparations, that I realised that what I was doing just wasn’t enough. I needed to choose to either pursue jiu-jitsu 100% or just carry on doing what I was doing and be content with losing. The second option definitely didn’t sit well with me, so I started planning my trip to Brazil. For anyone thinking of travelling to Brazil to train, why should they go? The training here is sick, so many ridiculously good guys that never really make it out of Brazil. You can find killer 16-18 year old blue belts that have been training for 10+ years – it’s not just the black belts here that are awesome. Aside from the jiu-jitsu, Rio is great – the weather is awesome and there are beautiful beaches and mountains all around. How is training at Rico Vieria’s? It’s great. Rico is a great teacher and has such a vast knowledge of jiu-jitsu as a whole. He is always coaching and pushing everyone to fight harder, and he teaches a very unique and dynamic game. 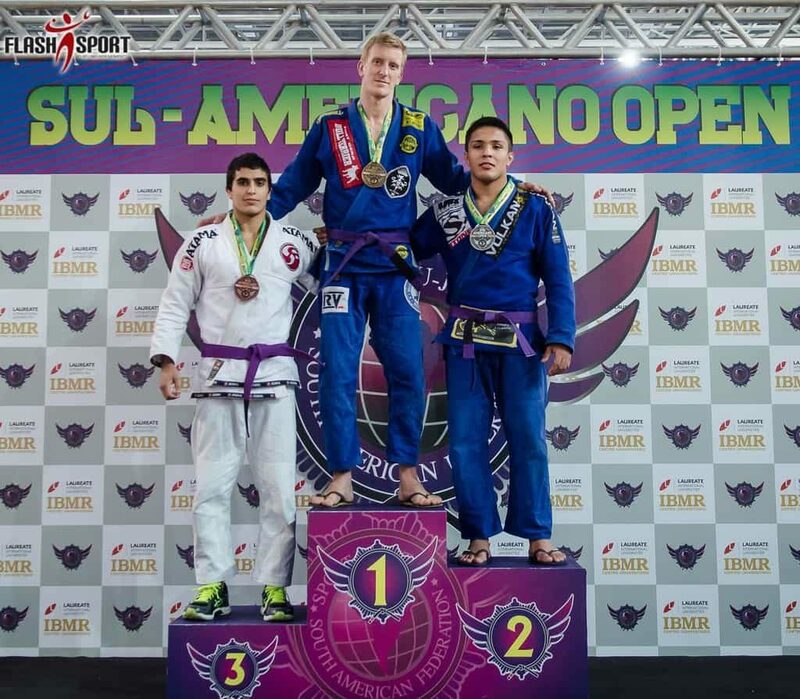 The school is very competition based, with lots of blue and purple belt competitors, and also some awesome competitive black belts (Thiago Sa, Douglas Rufino, Sandro Vieira). The training involves a lot of positional sparring, with emphasis on sweeping fast and coming on top to pass the guard. There is less repetitive drilling and more specific training, as well as full sparring of course. I am a bit of a freak for drills though so I will always be drilling at the Connection Rio house between training sessions. What are your main goals while away? My main goal is to compete as much as possible and become a better competitor. So far I have been doing ok but I feel like there are still huge improvements which need to be made. After Brazil I am going to California for the PanAms and Worlds, and I hope to do well. What part of your game are you currently working on? The main thing I am working on is my guard passing – Rico teaches a very different approach to passing than I am used to, so it’s taking a lot of time and effort to try and make such huge changes to my game. It feels very unnatural to me at the moment but I just need to spend more time on it and I’m sure it will start to click. Other than that I am always working on my guard – much to the annoyance of my training partners I’ve started trying to use various forms of lapel guard and incorporate them into my open guard game! I am definitely more of an open guard player – I like all the open guards, but most of all De la Riva and spider guard variations. Usually I like to try and get the submission or take the back from the guard, but now I am focusing more on sweeping and working from the top. I am also trying to fight much more aggressively, as I know it is a weakness of mine to be too relaxed, which is not good for competition. I’m trying to push the pace a lot more and become a more dominant fighter. And finally, what piece of advice would you give an aspiring bjj fighter? Train as much as you can. Eat healthy. Stay in shape. Divide your time equally between your top and bottom game. Compete as much as possible. Find areas of your game that you can work on when injured. Even if you are too messed up to roll you can always do something to improve your jiu-jitsu! You can follow Sam in Brazil on his blog Collar and Sleeve.